Confidence is built upon credibility, something Apple really earned thanks to the first iPod. Apple gained the mainstream credibility to introduce a product, say it's going to be the best thing ever, and have customers give it the benefit of the doubt. Credibility is a finite good however. Promise the world and deliver beans instead too many times and you'll find yourself back to square one. Luckily for Apple, that hasn't happened yet. The iPod gave Apple credibility, but Mac OS X, Mac hardware and eventually the iPhone all made deposits in that bank. That's not to say that Apple devices are flawless, but the company has won the confidence of a huge part of the market. 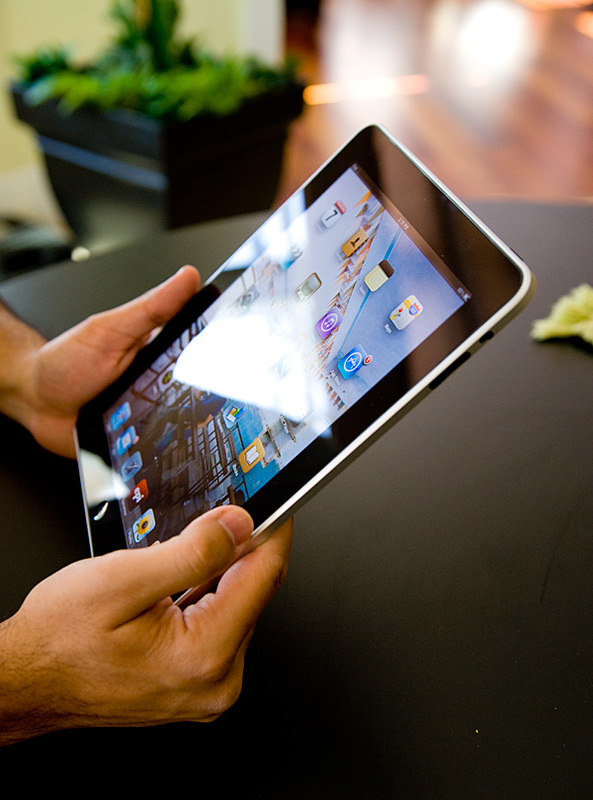 The road to the iPad announcement was riddled with rumors and unsubstantiated claims of what the Apple tablet would do. It was to be the replacement for everything from cable TV to netbooks. Hype is a difficult thing to control, but in the case of the iPad, the market's expectations were beyond unrealistic. The hopeful child in all of us wanted to believe. We wanted to believe that Apple would introduce something truly revolutionary, something that would let us do anything we ever wanted to do. We just didn't know what that was, but we believed that there was a slight chance Apple might make it happen. What followed on January 27, 2010, the day of the iPad announcement, was a collection of excitement, disappointment and confusion. I do have to place some (a lot?) of the blame on Apple. By saying nothing, confirming nothing (short of threatening law suits) Apple let the hype get carried away. And I'm not totally convinced that Apple itself wasn't behind some of the leaks in order to generate free marketing for this device. The worst? Jobs calling the iPad magical. If the device was shipping today with no ergonomics issues, no slowdowns, no crashes and with a full list of heavy hitter apps (real ones, not just ones that showed us what the iPad could do in the future), then I'd call it magical. You can't call something magical if it just promises magic at some point in the future. Well, you can, but then you'll anger a lot of people who oppose to such liberal use of language. You have to hand it to Apple PR though. Through careful planning and seeding of review units, it managed to end up in all of the right hands a few days prior to its launch. It had been on every single late night talk show in the span of a couple days. It even made it to the grammys earlier this year. Folks looking to catch a break would kill for the sort of free publicity apples iPad has received. It has celebrity status without even adopting any orphans. And like a celebrity, the iPad is very polarizing. The iPad, even moreso than the iPhone, is not the end all, be all universal device for everyone. In fact, unlike the iPhone, it doesn't replace any existing device in your life. It's an addition. There are things it does beautifully, things it does ok, and things it just plain can’t do. Today, I'll try to take you through all of that as best I can. There's been rumors the iPhone 4g will be talked about tomorrow by Apple. Do you have any insight into this? I don't understand the point of this link? I'd rather not hear about the hardware at this point, but it'd be nice to say that Apple would up the clock on the 3GS (what I have). Hearing about the OS 4.0 is nice. I thought the "G" has nothing to do do with the wireless technology network. While they both stand for "generation", Apple's iPhone/OS pair will still be called the iPhone 4G, regardless if it runs on 3G Network or CDMA technology, or if the OS is upgraded afterwards; if this is confusing, think about the iPhone 2G - it runs on the 3G network and can be upgraded to OS 3.0, but it is still a iPhone 2G due to the initial hardware/OS release. Perhaps you are right, but I thought I remember hearing Jobs talk about the naming that went into the iPhone. Technically, I think that what happened supports your argument, but we've all seen companies change their logical naming patterns. The first iPhone, as with any first generation, was called the "iPhone", with no suffixed 1G or 2G. It wasn't until the 3G came out (on OS 2.0), where there was question about its name. I think what was talked about was that the beta versions were considered 1G; the first retail release was considered 2G; and the second was 3G. The 3GS is where it really breaks that argument, because the 3GS was released with 3.0, so technically it would be called the iPhone 4G. Instead they stuck with the "3G" and added the "S", which they said stands for "speed". However, those "2G" phones that were upgraded to OS 3.0, still work with the 3G network, but are still considered "iPhone" (w/o the suffix, but still unofficially: iPhone 2G). In either case, I'm willing to say that I'm wrong, since a lot of it is vague memory. That, and the fact that this article is about the iPad and not the iPhone :) I was just a little curious about OS 4.0, but I was offered an exclusive direct link on the developers briefing, so I found everything out anyhow. Page 2: Since this isn't the 1980s, the iPad only has three four physical buttons on the device. I might be reading it wrong but the "three four" seemed out of place. Maybe that was supposed to be a "three or four", or perhaps you were going to come back to it? Page 5: "Tap it twice while you're playing music and playback controls appear, Also when..."
Perhaps there should be a period where the comma is and a comma after "Also"? BTW, not purposefully checking for errors, just looking out for ya.